I am offering brand new guest posting service. Boost your website’s rankings and drive traffic by guest posting. I am the owner of a quality website (WeBringIdeas dot Com) which has 59 DA(Domain Authority) and it is 10 years old blog. 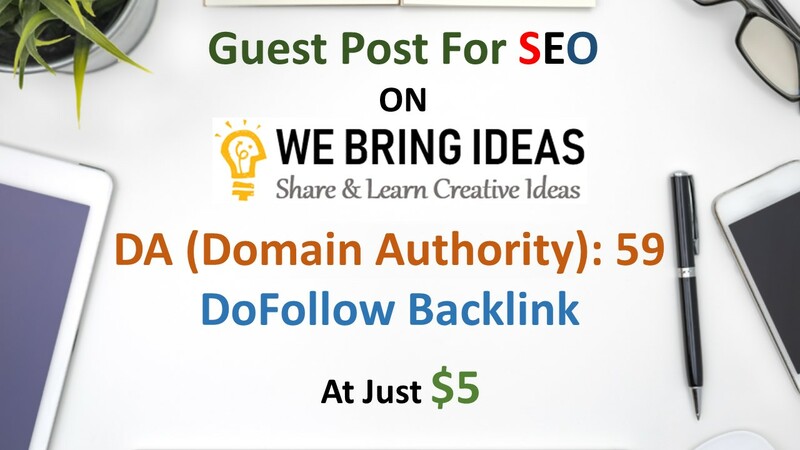 You will get 2 DoFollow permanent backlinks from my website. I don't accept adult/gambling/casino etc. So if you are interested, just go ahead and buy the gig. Contact me if you have any queries. Publish guest post on my 59 DA blog is ranked 5 out of 5. Based on 3 user reviews.